Sticks, sprays, gels and lotions… there’s more sunscreen choices than ever to suit your preference and skin type. Once you decide which you would prefer to use, it’s important to know how to apply it correctly for proper sun protection to lessen risk of sunburn or skin cancer. Ensure that every part of your body exposed to direct sunlight is covered. Apply the sunscreen BEFORE you get outdoors. Make sure you apply a generous amount and rub it in well. If you are going to be swimming or exercising, it’s best to apply sunscreen before you change into your bathers or workout clothes as these might move around while you’re active. 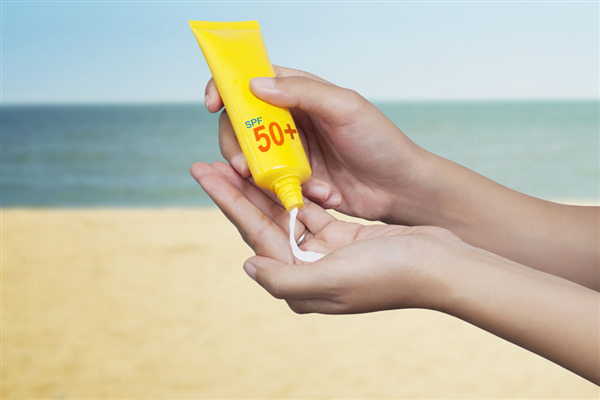 An adult needs to use about 35ml of sunscreen for their whole body – make sure you are using an adequate amount. A 100ml tube of sunscreen is only enough for 3 applications. If you can’t reach your back or shoulders ask a family member to help, or use something like a makeup brush with a long handle to reach. Don’t forget your neck all the way up to your hairline, ears, feet (including toes) and hands. If you are prone to sensitivity or prefer a lighter feel sunscreen, there are specific types for the face to be worn underneath makeup.